For the last couple of months, my blender has gotten quite a workout. My daughter was in a bad accident and broke her jaw in three places. She is, thankfully, on the road to recovery but I am plying her (and all of us!) with loads of healthy smoothies for maximum nutrition. This avocado fruit smoothie recipe is loaded with healthy ingredients and easy to make. If you are looking for nutritious smoothies to start your day, this one is perfect! Avocado Is Incredibly Nutritious! Avocados are loaded with 20 different vitamins and minerals. This makes it a great nutrient-dense food choice. They Contain More Potassium Than Bananas. Potassium is incredibly important in the human body. In addition to many other functions, it is important for normal growth and for building muscle. Avocado Is Loaded With Heart-Healthy Monounsaturated Fatty Acids. Yes, one of the best avocado smoothie benefits you can get is the fat content. Because avocados are loaded with HEALTHY fats! Avocados Are Loaded With Fiber. Don’t we all need more fiber in our diets? Actually, YES, most of us really do! Eating Avocados Can Lower Cholesterol and Triglyceride Levels. This has to do with those healthy fats again. 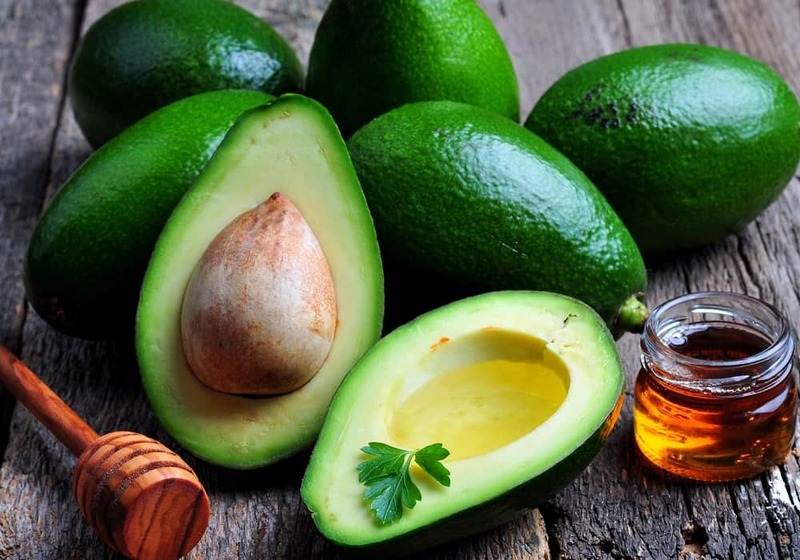 If you have trouble with cholesterol, eat more avocados! If you really want to start adding more avocado to your diet, an avocado slicer might come in handy. In addition, check out the cookbook An Avocado a Day: More than 70 Recipes for Enjoying Nature’s Most Delicious Superfood. It is seriously loaded with avocado recipes to help inspire you! We all need inspiration occasionally, right? Especially when we are trying to eat healthy! Can you Taste Avocado in Smoothies? So, healthy is great but how do avocado smoothies actually TASTE? 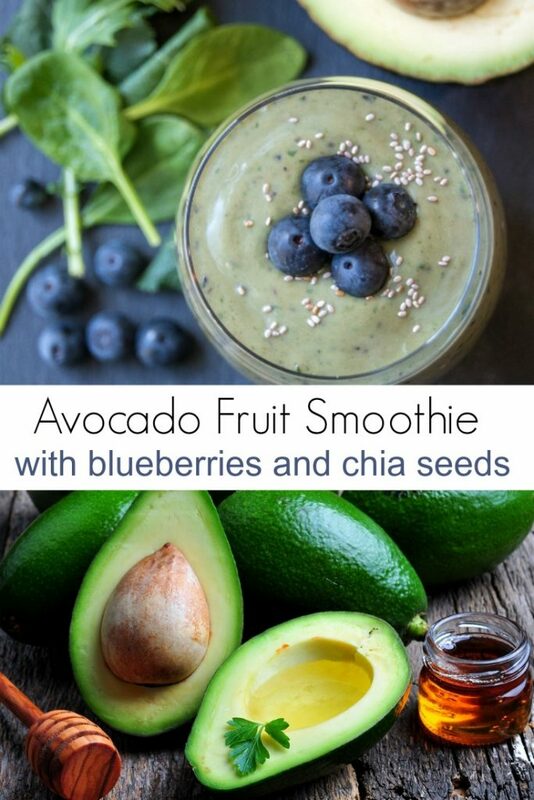 This avocado fruit smoothie recipe is absolutely delicious! 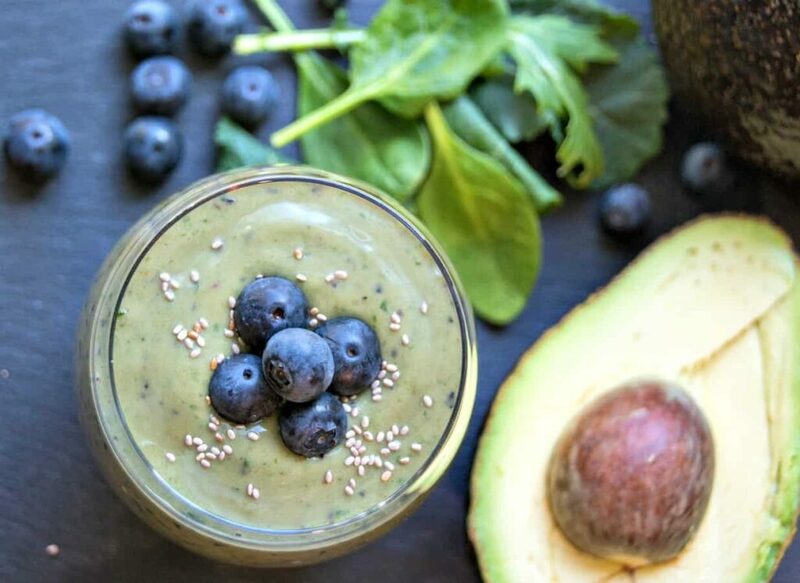 Avocados give smoothies a silky, creamy texture. As a result of their mild flavor, you really only taste the fruit. 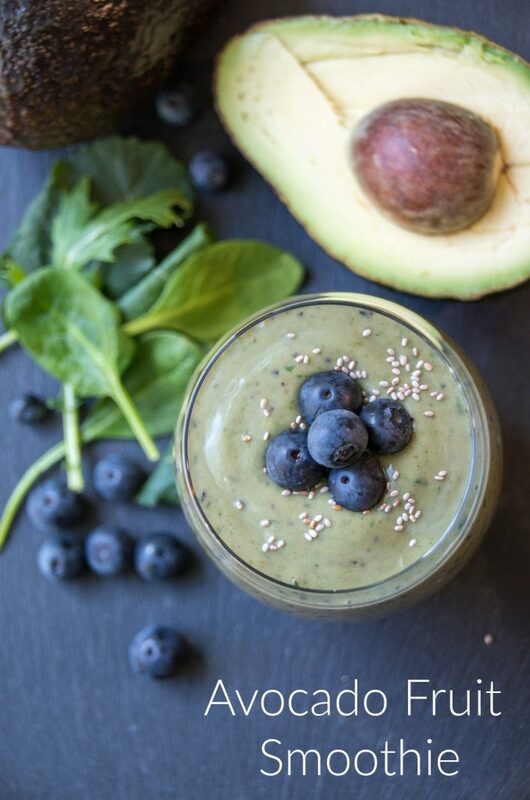 In addition to a creamy texture, avocados give fruit smoothies a slightly nutty flavor. What Can I Use to Sweeten My Fruit Smoothie Recipe? Smoothie sweeteners can be anything from fruit juice to honey, depending on your preferences. The simpler the sweetener, the healthier the smoothie. Even coconut water has some natural sweetness to it. Of course, go light on the sweetener to really get the flavor of this avocado smoothie. In addition to a sweetener, include a little vanilla extract, or some unsweetened cocoa powder or cinnamon. These are great ways to perk up your morning smoothie recipe! Can You Prepare Avocado Smoothies the Night Before? Are you busy in the morning? Life is chaotic and mornings are hectic. You can still enjoy avocado smoothies for breakfast, even if you are in a hurry. Make your smoothie the night before! Just blend it in the blender, adding a few tablespoons of citrus to your smoothie recipe. You can use lemon, lime, orange, etc. 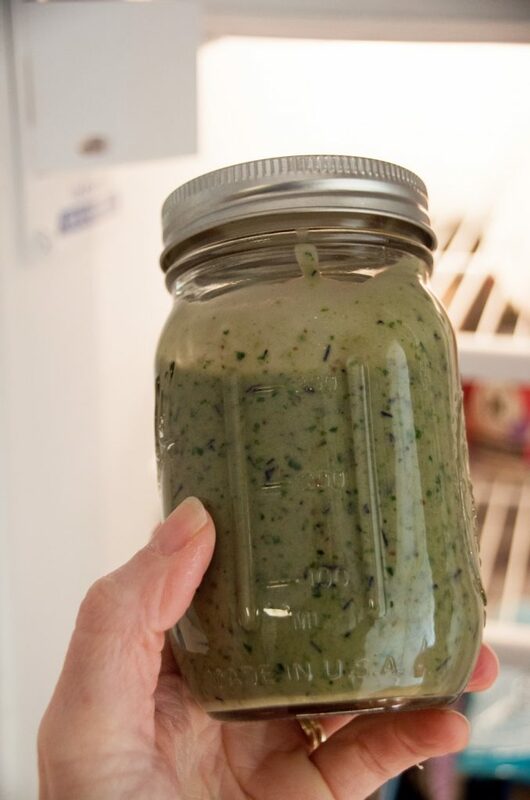 Then pour the smoothie into freezer-safe Mason jars, and freeze. The combination of acid and freezing will stop avocado smoothies from browning. To thaw your smoothie, leave it in the freezer overnight or on the counter for a few hours. Then, just stir and enjoy! Freezing avocado smoothies helps maintain their fresh nutrients without letting it get brown and gross looking. If you are passionate about meal planning, freezing smoothies makes for an healthy breakfast idea. This avocado fruit smoothie is very flexible. In addition to the ingredients listed below, add your own favorite smoothie ingredients. You can include everything from protein powders to chia seeds, depending on what’s in the pantry. Add flax seed oil for additional healthy fats. Blend in frozen pineapple to boost digestion. There is no limit to the healthy smoothie ingredients you can add in there! Check out CookingLight.com for more healthy avocado recipes! This avocado fruit smoothie recipe is loaded with healthy ingredients. If you are looking for nutritious smoothies to start your day, this one is perfect!